very powerful spigot grip for smaller work such as lace bobbins. They are also ideal for longer dowel work. Twist drills can be gripped to enable the chuck to be used as a drill chuck. The jaw-set features a small dovetail to mount small bowls. • Special NOVA dovetail profile, designed for maximum strength and holding in wood turning, all without crushing wood fibers. • Same jaw fixing system across all standard NOVA chuck models (except Quick Change) – giving you maximum system interchangeability and flexibility. 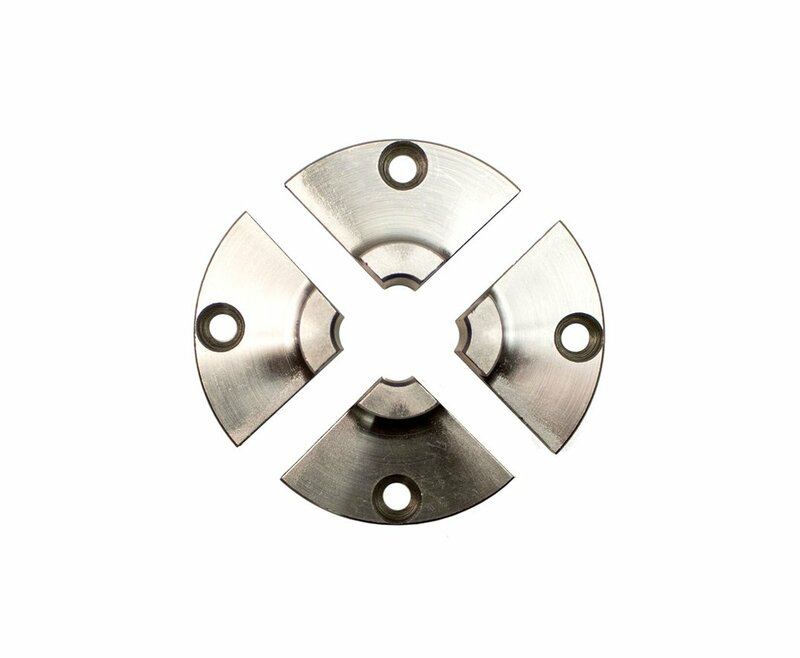 • Designed to act as a pin chuck – expanding into a pre-bored hole. • Longer jaws allow for a very powerful spigot grip for smaller work such as lace bobbins. • Acts like a pin chuck, expanding into a pre-bored hole. Perfect for free-form edge bowls. • These special 25mm extended jaws are designed to act as a pin chuck, expanding into a pre-bored hole. This is an especially useful holding method for bowls with a free-form edge. • A big advantage over pin chucks is that you don’t have to bore to an exact size – any size between the minimum and just under the maximum expansion will do. • The longer jaw length allows for a very powerful spigot grip for smaller work like lace bobbins (up to 6″ in length) and delicate pots. • The jaws also have a dovetail for mounting small bowls (up to 6″ in diameter). • Only NOVA chucks give you the same jaw fixing system and same insert/adapter system across all standard chuck models – giving you optimal flexibility. 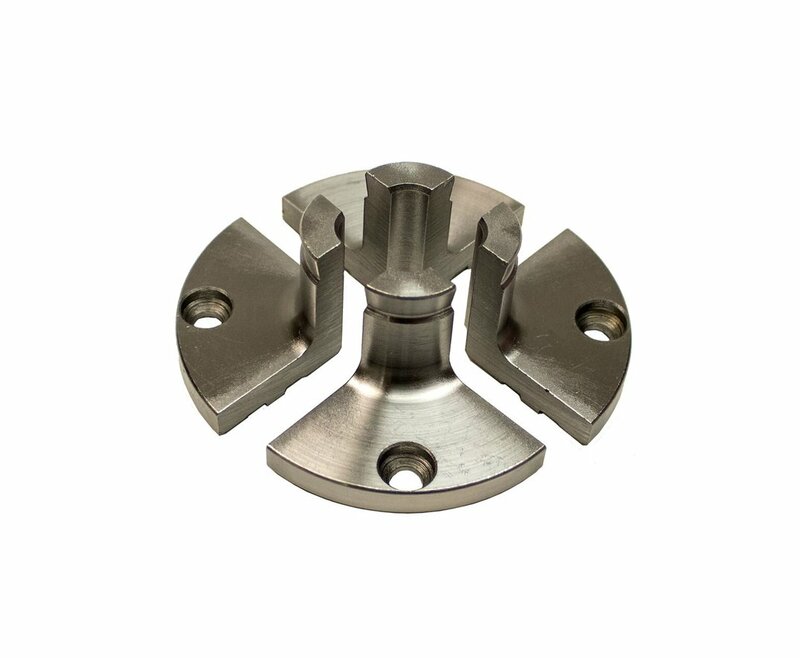 All accessory jaws in the standard chuck range will fit all the standard NOVA Chucks. (NOVA Infinity Quick Change Chuck requires an optional accessory Upgrade Kit or Retro-Fit Kit to attach standard NOVA Accessories) Some jaws, however, are not recommended for use on all NOVA Chucks due to sizing, see manual for recommendations. • NOVA chucks are specially designed so the jaws cut into the wood, grip firmly in the contraction mode and provide high tear out strength.